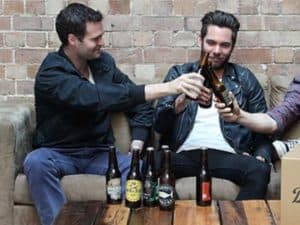 Clubs Galore Reviews (2019) Is This Craft Beer Club Worth It? Editor’s Note: Clubs Galore is no longer in service :'( You can see our other beer club recommendations here: What to look for in a monthly beer club. A New York based company called Clubs Galore who specializes in gourmet, first-class gifts of the month started the International Beer Club with hopes to bring hard to find beers from all over the world right to your doorstep. These guys have been in the gift of the month club business since 1999 and have been featured on the Today Show, The Price is Right, The Wall Street Journal, CNN and more. With a track record like that, you can trust that they’ll bring you some great tasting, high-quality beers. The Craft Beer of the Month Club by Clubs Galore provides you with an awesome selection of craft beers in each shipment so that way your taste buds don’t get bored. 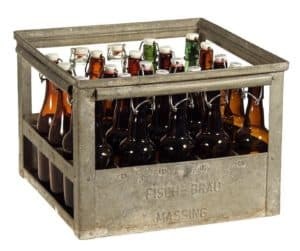 Each shipment includes 12 – 12oz beers in 4 different varieties from 2 different U.S. breweries. This Craft Beer Club membership allows you to choose how many months you’d like to receive the shipment, the frequency of the shipments, as well as the actual start date of your membership. This makes it super easy to customize your membership completely. I know shuffling through all the different beer of the month clubs and trying to decide which one you should pick can be a bit confusing. 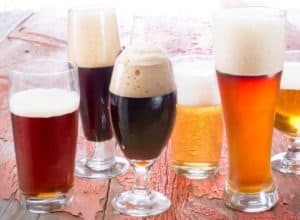 To give you a better understanding of what to look for in a beer club, check out my article What to look for in a monthly beer club. 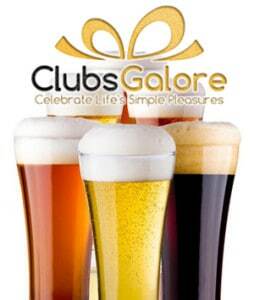 Clubs Galore doesn’t limit their variety to just the more popular mainstream styles of beer. They include nearly every type of beer out there and that they can get their hands on. A common concern with most new members to a beer club is they’re going to get the same exact beer a couple of times a year, but that is simply not the case. You’ll get a completely different selection each month no questions about it. Don’t be surprised if in the same shipment you receive a light, flavorful ale and a dark and complex stout. Clubs Galore doesn’t give much information on the past selections, so I’m unfortunately not able to provide you with specifics. This club definitely promises variety, but if you’d like to have some more specific information on the variety you’ll be getting, you might want to check out a different club! The Craft Beer of the month Club hired a team of passionate beer experts that take the time to taste test tons of beers to make sure you only get the best. Their goal is to fill your 12-pack with only premium complex beers with great with awesome flavor. I’ve run across some clubs that just send you a preselected 12-pack that goes through no quality control or taste tests, which defeats the purpose of a beer club in my opinion. Don’t settle for a less than satisfactory selection process; otherwise you may find that you just wasted your money. Some beer clubs have a growing, engaging community of beers lovers that converse about the latest beer selections and beer news on a Facebook page or blog of some sort. This craft beer club, unfortunately, doesn’t have much of a community. If you’re sold on this club but still want to have someone to share it with, it might be a good idea to convince a friend to sign up too or maybe just share a few. After all, aren’t things best enjoyed with a friend? Beer of the Month Club by Clubs Galore does include a beer blog newsletter that contains information on that month’s beer selection. This information includes things like tasting notes and profiles from the beer experts! Clubs Galore doesn’t go to much into detail on their shipping process like some of the other beer clubs, but they do promise that your package will be ‘beautiful and artful’, which definitely can’t be a bad thing! I think It’s safe to assume that a company that has been around since 1999 is probably an expert in the shipping area and packages the products in a manner that they will arrive in perfect condition. If anything is broken or ruined they will replace it with no questions asked says their 100% guarantee. They’ve also got free shipping. Some of the other beer clubs that I have reviewed have mentioned that their beer experts pick and choose only certain beers to ship at certain times of the year because of weather. In addition, they make sure that beers that are not supposed to be aged are brewed fresh and sent out ASAP. If this detail is important to you, you may want to check out another beer club! Customer service is important no matter what kind of company you’re dealing with. 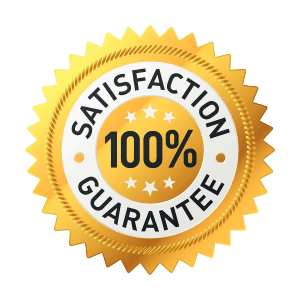 Clubs Galore backs their clubs with a 100% satisfaction guarantee on every single club they offer and strives to build a great trusting relationship with every single customer. This means if you aren’t completely satisfied with one of their delivered products, they’ll refund you no questions asked! Don’t settle for anything less than a 100% guarantee with any beer club. This is a great option if you’re looking for a beer club that is quick and easy to sign up for and supplies a great product. If you love beer but don’t consider yourself a complete beer snob, then this might be a great option! Sometimes simple is better! This is also a great beer club to give as a gift because of the great packaging and presentation of each delivery. They also include a personal message with every shipment. Visit their website for more info.